In an era of increasing complexity in the healthcare industry with increasing healthcare costs, advancements in technology, and evolving patient-physician-hospital dynamics, the focus of hospitals and health systems is clearly on looking at new strategies to fuel growth. Fine tuning healthcare business delivery processes and administration solutions to effectively manage and deliver healthcare is key among these strategies. In order to maximize value from their business processes, global healthcare companies are increasingly leveraging the healthcare business process outsourcing model. We invite you to partner with De Lune Health to help optimize revenue performance, while managing costs and risks. With a highly result-driven culture, organizational efficiency, and over a decade of combined industry experience and expertise, we provide comprehensive outsourcing solutions to companies of any size. De Lune Health RCM Solutions is a Revenue Cycle Management (RCM) service provider offering high-quality outsourcing solutions to RCM companies based in the United States. 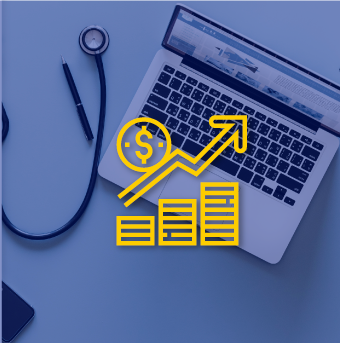 From Patient Demographic Entry, to Accounts Receivable Follow-up, to Payment Posting, De Lune RCM Solutions covers the full spectrum of Revenue Cycle Management. We help you streamline your billing functions cost-effectively by reducing payer denials, eliminating undue hassles and costs, and by offering a fully standardized service. Our team of qualified billing professionals with decades of combined industry experience will assist you with streamlining your billing functions in conformity with your requirements and will help you identify crucial areas warranting corrective measures. Help you achieve increased collection rates up to 20% while working on ways to improve cash flow. Help you improve your revenue recycle management by reducing cost on administrative functions. Make sure that performance efficiency is achieved by analyzing every aspect of billing equirements. Ensure total confidentiality of your information, thus safeguarding secrecy and non-disclosure of your vital data. Huge cost savings as opposed to staffing new employees for handling billing processes. We give you our own dynamic team of expert billing operators to carry out your billing functions efficiently.